If you can be careful to maintain and take care of the suit,it will bring people longer professional and self-confidence. But do not over-care. It could ruin a suit. Especially the more refined material suits. It can not afford to over-washing and ironing. In general,it's enough the suit washed 2-3 times a season. As part of the wear to trousers, it is best not more than two days to wear each. Take turns to wear more trousers, so that trousers have plenty of time to restore flexibility and softness. If the suit has been wrinkled, pay special attention to the temperature when ironing the suit, try to put on the reverse side of the suit. Or put a piece of cloth between the clothes and the iron. Occasion: wedding, party, prom, casual, business, formal, leisure,bride. 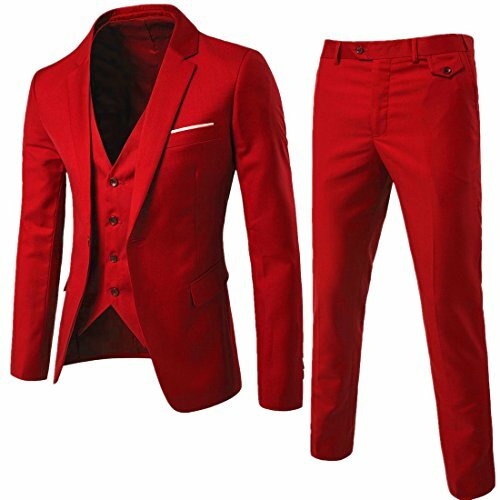 Men's suits, wedding suits, bridal suits, business suits, caual suits, brudegroom suits, groomsman suits, slim fit suits.